It has been an unusually cold winter in Portland this year and we are using the power of DIY to create the spring staycation we’ve all been dreaming of. This means lots of home decor projects that we can use to decorate our work and living spaces. 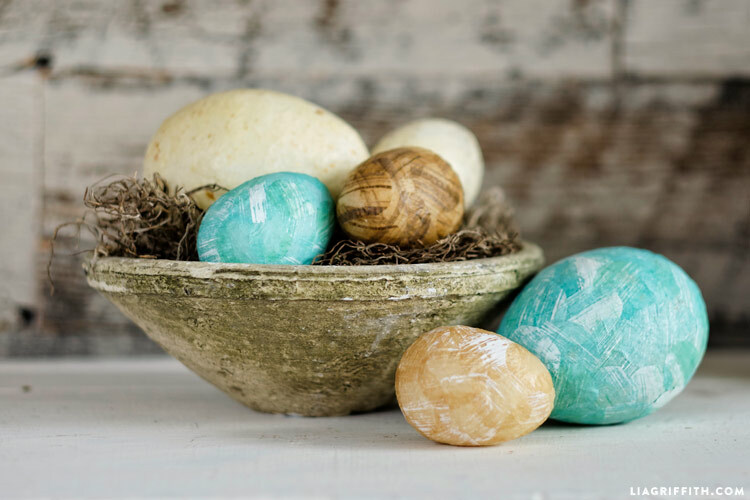 After making crepe paper crocuses and tissue paper snowdrops, we are mixing things up with these beautiful decoupage eggs. 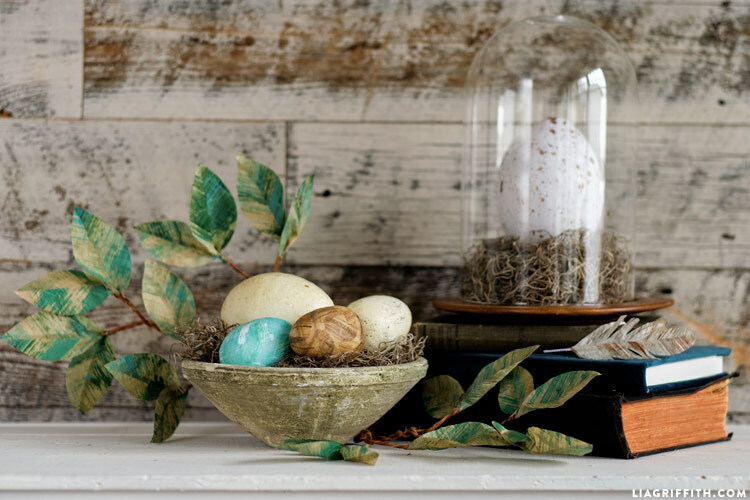 Use these eggs to create elegant displays on your mantelpiece or as a fun project to get ready for Easter. Either way, you’ll be adding a happy touch of spring to your day-to-day! Cover work area with butcher paper or newspaper scraps, then spread out and flatten a piece of tissue paper. Dab the stencil brush into slightly diluted acrylic paint and flick onto the tissue paper. Cover the tissue with flecks of paint and allow to dry. Cut paper into strips, fold in stacks and cut about 1-inch wide irregularly shaped circles. Brush a bit of Mod Podge on the back of each circle and stick to the foam, overlapping a layering the circles. When there is a cluster of overlapping circles attached, brush with slightly diluted Mod Podge to make it extra secure. 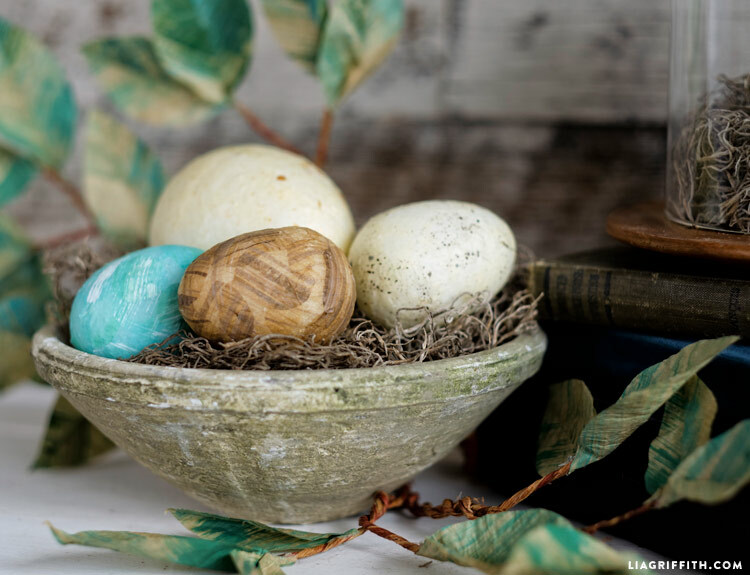 When your egg is completely covered, brush with another coat of diluted Mod Podge. Experiment with different colors of tissue paper, paint techniques and layering. Smaller eggs require smaller circles of paper. 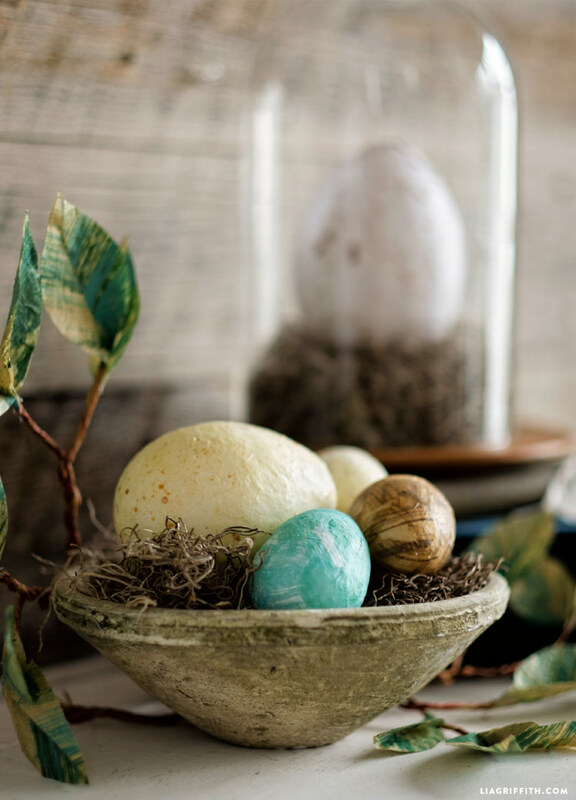 Create a variety of sizes and colors of eggs as desired for your display. This is one of those projects that is really more about showing you a technique than creating a specific craft. You have lots of freedom with how you can make your tissue paper look. For our gold paint, we used Liquitex Soft Body Acrylic in Iridescent Rich Gold that we found at Blick. The amount of tissue that you will need depends on the size of eggs that you are making, and you can always cut more tissue as needed while you are working. 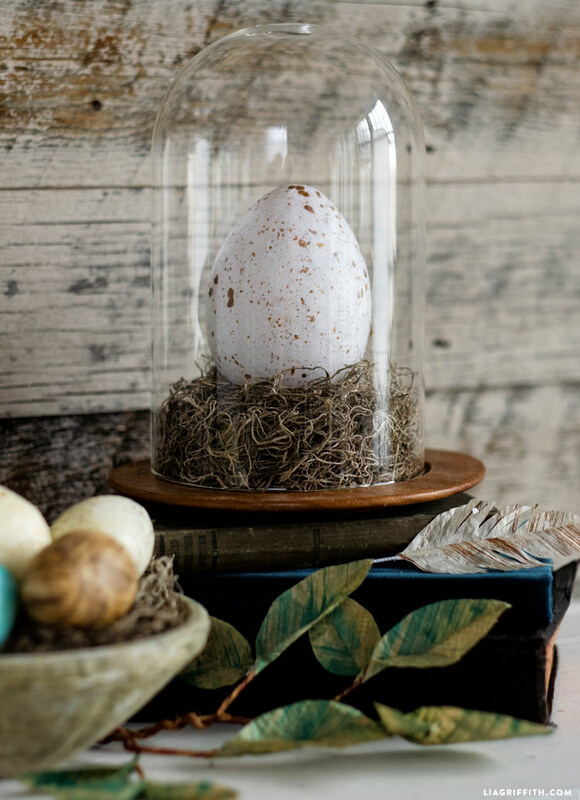 When applying the tissue paper to the foam, we recommend balancing the egg on a cup so the foam is easier to work with. 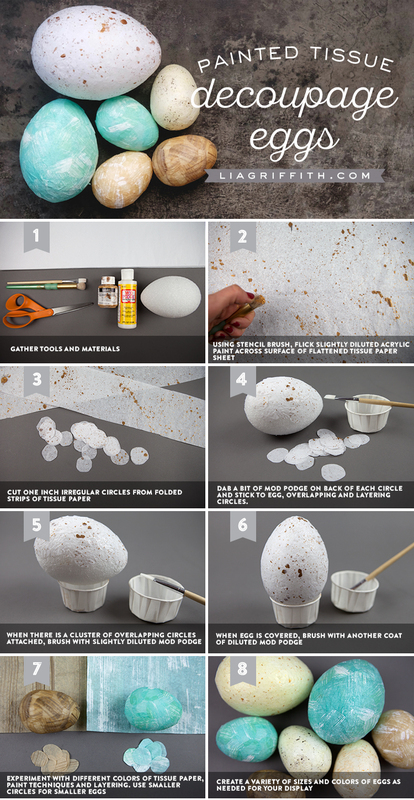 This will also prevent the egg from rolling over and sticking to your work surface while it is drying. Cover one side of the egg, let it dry for a few hours, then flip it over and cover the other side. Easy! 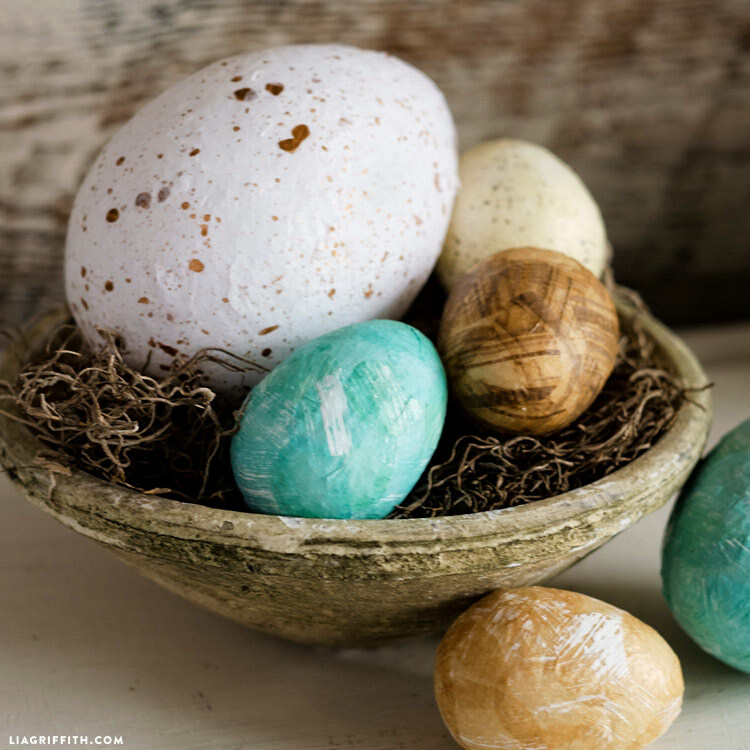 Love that these eggs are so easy to create yet so pretty in the safe hues. Thank you for sharing.